Tube/Shaft. : Highly Resistant chrome plated metal shaft. Customization. : Fabric color, printing, packing customization is possible. 3 Fold Black Silver Piping umbrella with chrome plated tubs and Zinc plated ribs. 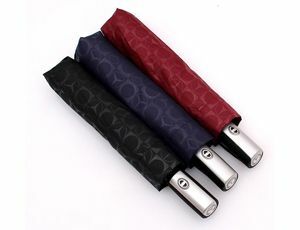 UV coated fabric with high quality water repellent chemical. Citizen Umbrella Mfrs. Pvt. Ltd.
Avon Lifestyle Products Pvt. 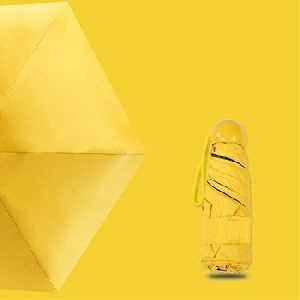 Ltd.
Best in price , can be use in company advertising, outside marketing , guaranteed product we are manufacturer & suppliers of all kind of garden umbrella, gazebo, canopy, tents, outdoor cotton rain sun farmer's folding handicraft side pole umbrella. Features: Size: 20.5” x 8, 24.5” x 8 Ribs Frame: MS Aluminum Frame Shaft: Folding Shaft Open Model: Manual Automatic Open Handle: Plastic Round Curved Handle Fabric: Polyester Nylon Fabric Colour: Black, Black Silver Coated, Plain Multicoloured and whatever you need. 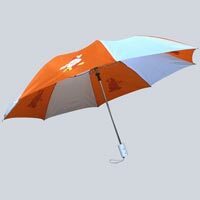 Backed by a team of highly experienced professionals, we are involved in providing a wide range of folding umbrella. Mohendra Dutt Grandsons India Private.. 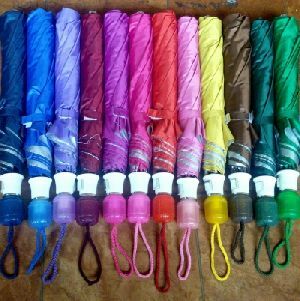 There are different types of umbrellas available in the market to suit different weather types and cater the varying needs of people. Here are some of the most common types of umbrellas found in the market today. 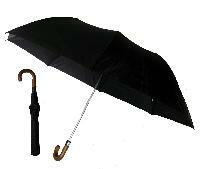 Classic Umbrella: This one is a classic foldable umbrella which was very popular in the past few decades. 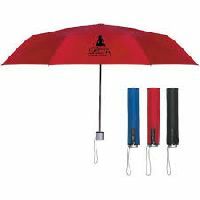 With the handle made from wood, polyester or metal and the canopy made from microfiber fabric, these umbrellas are still a common sight during rainy days. 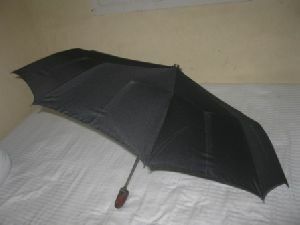 Automatic Umbrellas: These are the modern day umbrellas which come with a button for automatic opening and closing of the umbrella and that too with a single hand. 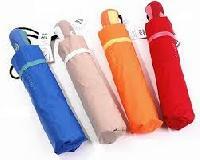 These umbrellas are compact and portable to be easily carried inside bags, purses cases etc. Bubble Umbrellas: Bubble umbrellas are easily distinguishable from the normal canopy umbrella as they have a sphere-shaped canopy. These umbrellas offer more protection from rain as they cover the entire head with the sphere. Most of these umbrellas are transparent and offer clear visibility. High Wind: The high wind umbrellas are suitable for stormy weather or heavy rains when regular umbrellas cease to offer proper protection. The high wind umbrellas are reinforced to withstand a wind of up to 55 miles per hour. 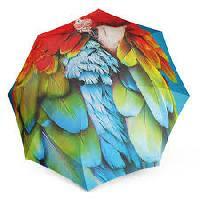 Artistic Umbrellas: The artistic umbrellas are the valuable work of fashion designers. These umbrellas are made using rare materials and intricate design choices but are not a very common sight on the streets. Paper Umbrellas: The paper umbrellas were an ancient Chinese invention, which were used around 2000 years back. Today, they have made their place in most of the Asian households as a useful and religious tool. 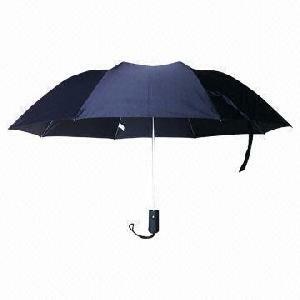 Gadget/Funny Umbrellas: With the advancement in technology, umbrellas are also experiencing certain changes. 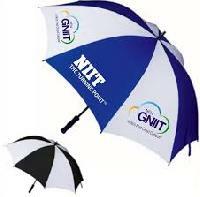 New technologies are being added to umbrellas which are gaining popularity. The one with a cup-holder handle, with seals for watermarks, and with straps for carrying on the back and many more are becoming popular in the market. Personal Parasol Umbrellas: Personal parasol umbrellas were very popular a few decades back for sun shading and not for rain protection. They were a symbol of class and status and were used as a fashion statement. Today, they are used for protection against the harmful UV rays of the sun. Stationary Parasols: The stationary parasols can often be spotted in public areas like markets, beaches, patios etc., for sun protection. 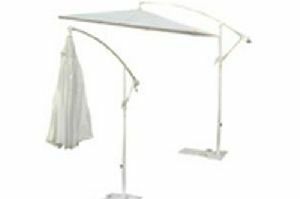 These parasols are large and heavy and often come with a reflective coating for UV protection. 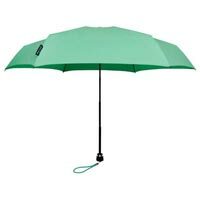 Golf Umbrella: Golf umbrellas are ideal for golfers who want protection from the sun while resting on the field. The canopy diameter of a golf umbrella is around 70 inches which can be carried in a golf bag and protect many golfers from the sun. When buying an umbrella, there are a number of things that you should keep in mind. 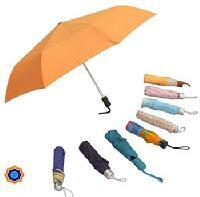 Buying an umbrella is not just about choosing the color or design, there is a lot more to it. 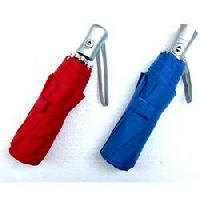 Here are some things that you should consider while buying an umbrella. 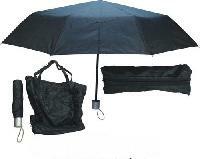 The Frame: The first thing that you should keep in mind while buying an umbrella is its frame. Make sure whether you want a rigid frame or a foldable one. Also, consider how many folds you want so that you can make the best purchase. The Shaft: The next thing to check is the shaft. You need to check the material used for making the shaft, the length of the shaft and even its strength to ensure that it does not bend, corrode or break off during heavy rains. The Handle: The handle also deserves as much attention as the shaft. Hold the handle in both the hands to see if it is comfortable or not. If you are able to hold the umbrella in both the hands, it is a good choice. 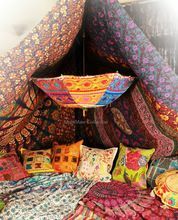 The Canopy: The canopy is certainly the most important parts of the umbrella. See the coverage, material, sturdiness etc., to find the best canopy. The material should preferably be polyester pongee fabric for resistance. The canopy should not be too loose in the ribs as well. 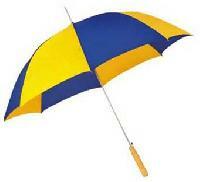 The Flexibility: The flexibility of the umbrella is responsible for its resistance to the high winds. The umbrella should be slightly flexible to ensure that it bends with the wind but does not break off or lose its shape permanently. 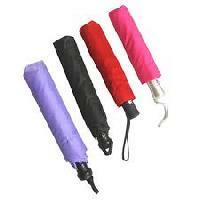 After buying an umbrella, it is important that you take care of it so that it stays in use for a longer time. The tips discussed below would help you care for your umbrella so that it works properly at all times. Before folding back the umbrella and keeping it back on the stand, make sure that it is completely dried. 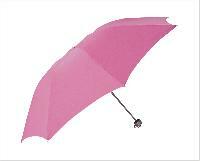 Even slight moisture can cause stains and odor in the umbrella and even corrode or rust the frame or shaft. Clean the umbrella regularly as per the instructions in the user manual. You can also use warm water and a clean cloth to clean the umbrella properly after heavy usage. Make sure that you use the right umbrella for the right purpose. 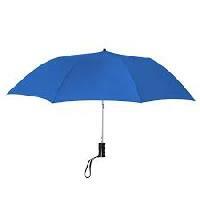 Like a sun-shading umbrella should not be used during rains, a rain umbrella should not be used in prolonged sun similarly other umbrellas should also be used for their specific purpose. While in high windy areas, carry the umbrella in the direction of the wind to reduce the risk of bending in the opposite direction. While folding the umbrella, make sure that the crease is maintained as per its original folding. Did you know that umbrellas (made from palm leaves) have been in use since the beginning of mankind? 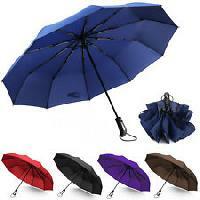 Or are you aware that earlier, umbrellas were considered only a women’s accessory and men refrained from carrying them? No? Read on to know some more interesting facts about umbrellas. Umbrella word is derived from a Latin word ‘umbros’ meaning shadow or shade. Scientists speculate that the use of umbrellas for sun and rain protection has existed since the start of human civilization (in the form of palm leaves). Till the 10th century, umbrellas were a symbol or power, pride, and wealth. Rulers had the most extravagant umbrella or parasol made for them to showcase their power. 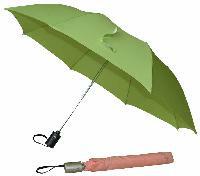 China made the first waterproof umbrella around three thousand years ago. In modern European history, umbrellas were considered as a fashion accessory for women until the 18th century. Jonas Hanway was the first man to carry the umbrella publicly. Umbrellas have been used by Grand Masters to showcase their work of art and even by others to advertise and promote their products. Samuel Fox invented the steel ribbed umbrella in 1852. 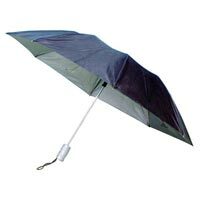 Folding umbrella was invented by Bradford Philips in 1969. Today, umbrellas are even used in modern photography as light reflectors. Small paper umbrellas are even used as a decoration for different drinks and dishes. 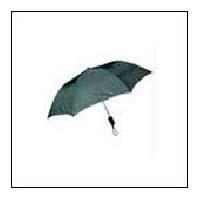 The water-proof covering of umbrellas is made with Teflon. China manufactures the largest number of umbrellas in the world. Shangyu in China has over a thousand umbrella making factories. French President Nicolas Sarkozy initiated the use of umbrellas as a defensive and offensive tool by coating it with Kevlar. 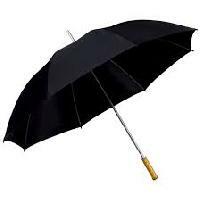 Umbrellas are now being modified to hide offensive items. Bulgarian president Georgi Markov was killed by a deadly poison that a KGB agent carried in his modified umbrella.